The Mistletoe Cactus is our plant pick of the month and a great addition to any plant collection. This plant is a beautiful, unique succulent which offers many different species from long and hanging to short and bunchy. As a hanging plant it is long and spaghetti like and can create an effective weeping effect. As a hanging plant they most enjoy bright, semi-shaded location. They also make for great ground coverage and as a cute potted plant. They've become popular amongst Sydney-siders more recently. You’ll probably notice this plant in many contemporary vertical gardens or green walls around the city. 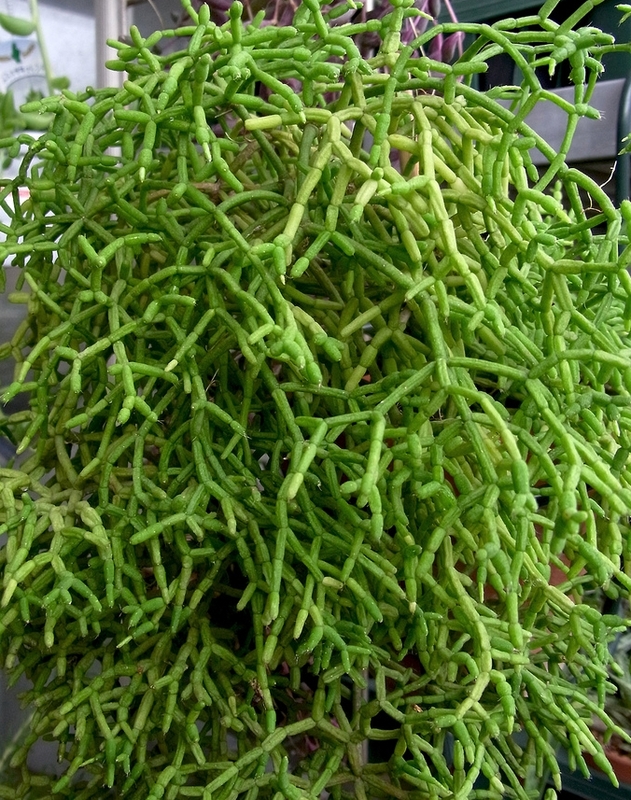 As a cactus plant, Rhipsalis is able to handle pretty rough conditions and weather types and suitable for Sydney weather. They can grow as a epiphyte on trees among branches or mosses and don’t harm the tree. They also are quite good at growing amongst rock or more traditionally in soil. Being hardy, they are tolerant to shade, erratic weather and neglect. It’s best to water them when the soil is properly dried out, which can take up to a month in Winter and about a week or two in Summer. They’re easily propagated as well, so you can swap and give away samples as they grow. Be sure to watch out for their beautiful small white flowers running up and down the leaves all through the year.